Presqu’île de Giens: an exceptional place, an unspoilt natural environment. A geological curiosity, the Presqu’île de Giens is the southernmost part of the Cote d’Azur. Sandy beaches, coves, wild paths and old salt marshes, a variety of different landscapes not to be missed. Walk along the coastal path to explore the Presqu’île de Giens. 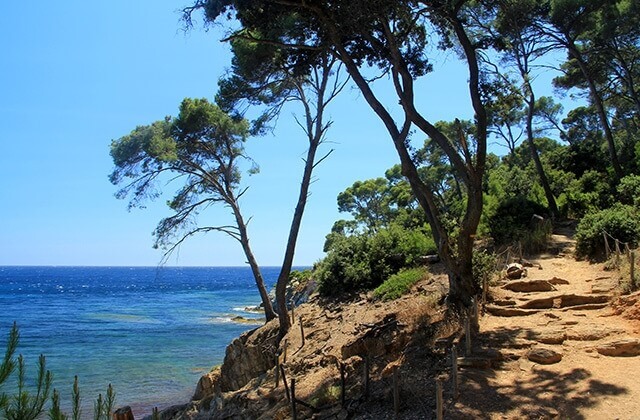 Wild coves, pine tree lined path, cliffs and coves; the coastal path allows you to go around the Presqu’île de Giens and immerse yourself in an area of unspoiled nature. 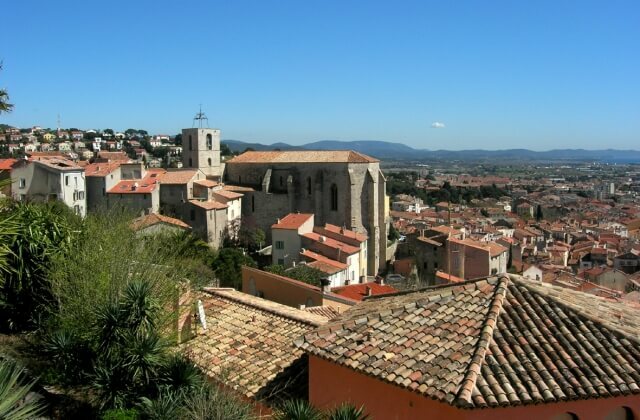 Walk through Hyères old town, with its ancient castle, Tour des Templiers and Villa Noailles – places that have marked the town’s history. Numerous coves accessible from Badine beach. Plage de la Vignette – access reserved for people with limited mobility with the association Un fauteuil à la mer. 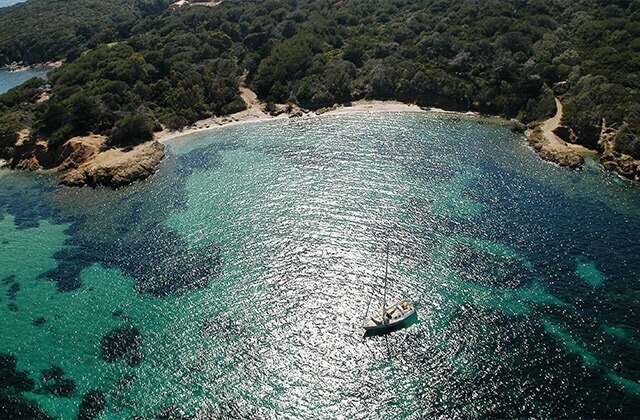 From the Tour Fondue, embark for Ile de Porquerolles, the pearl of the Iles d’Hyères (20 minute crossing). On foot or by bike, explore the pine tree lined paths. Don’t forget to stop off at Notre-Dame or Argent, 2 beaches with turquoise waters, or make a detour via the lighthouse and the Pointe du Langoustier – the most unspoilt places. 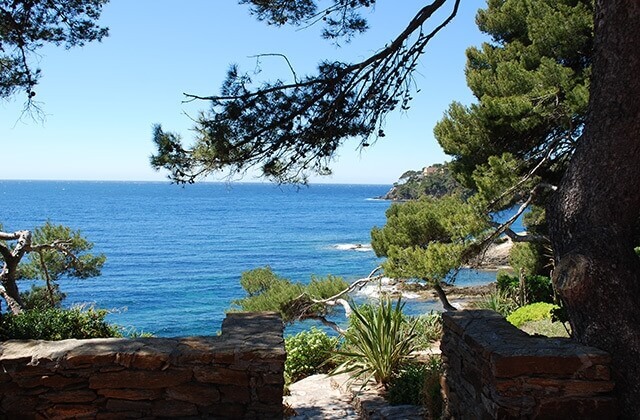 Beaches of golden sand and rocky coasts, Iles d’Or, Saint-Tropez, Gorges du Verdon, the Maures and Estérel massifs… Sea, mountain, maquis… the Var – a land of contrasts and escapades to delight you. and its typical small ports. From Square Bachagha Boualam you will have a breath-taking view of the peninsula, Almanarre beach and the salt marshes. In perfect harmony with nature and in the simplest of outfits, discover Le Levant, the naturist Iles d’Or island. 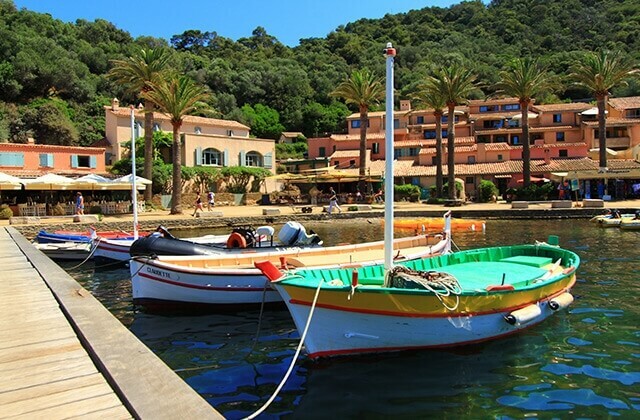 A protected natural site, Port Cros is a natural jewel. 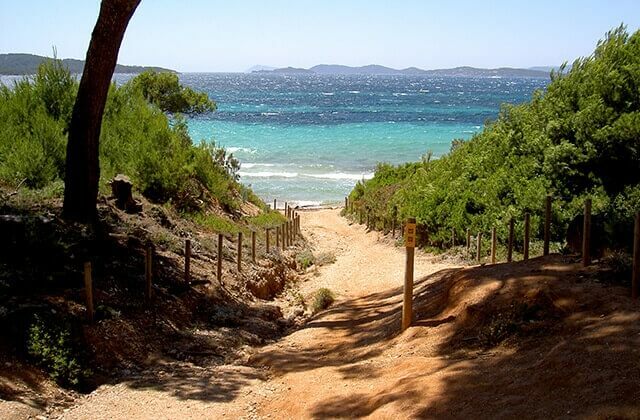 Tree-lined hiking paths and natural beaches to enjoy and recharge your batteries ! Zoom in : double left click.